The ToolMaster Series by A.R.E. 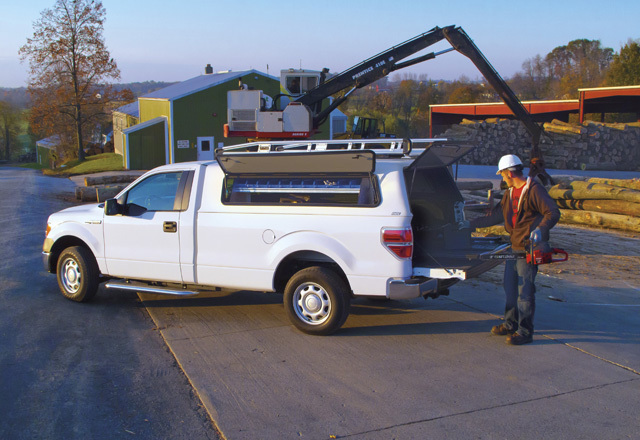 offers a true fiberglass commercial cap solution. 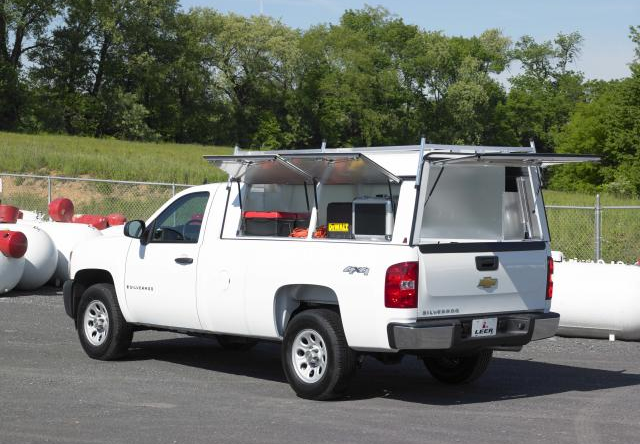 It is rugged and reliable, featuring heavy duty doors and toolboxes, along with a commercial grade ladder rack. 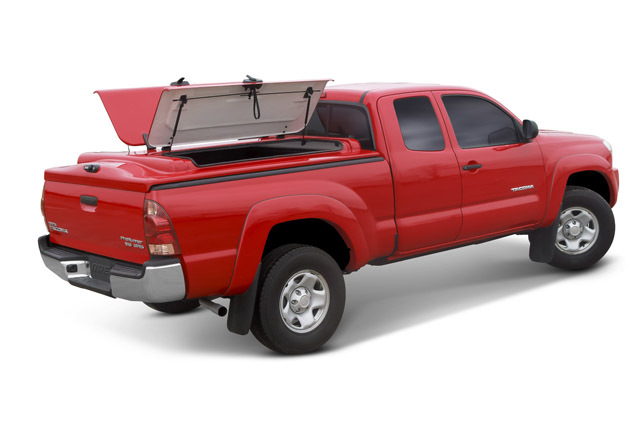 At the same time, the ToolMaster Series offers the styling and finish that only a fiberglass truck cap can provide. Customize yours today. With over 200 variations to choose from, you can create the perfect cap to fit your work needs. 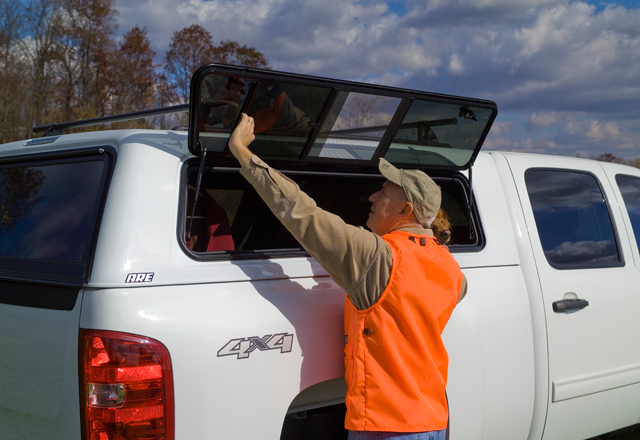 Our rugged, fully welded frame construction offers years of durable service, no matter what the weather or job. There’s a reason that the A.R.E. 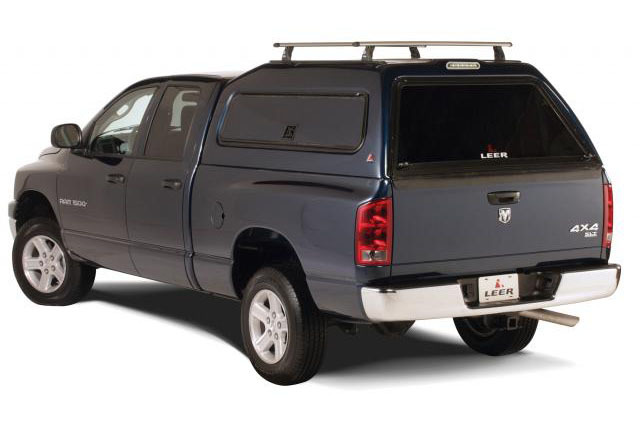 DCU Series is the only truck cap that received a 10 out of 10 rating by Handyman Magazine readers. Customize yours today. 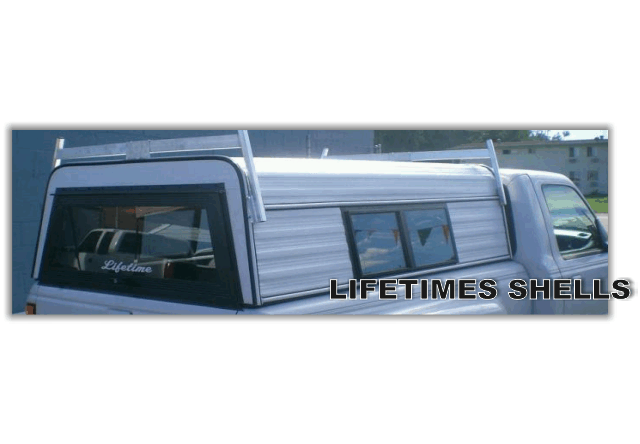 BEDSLIDE is simply the easiest way to load and unload your truck. 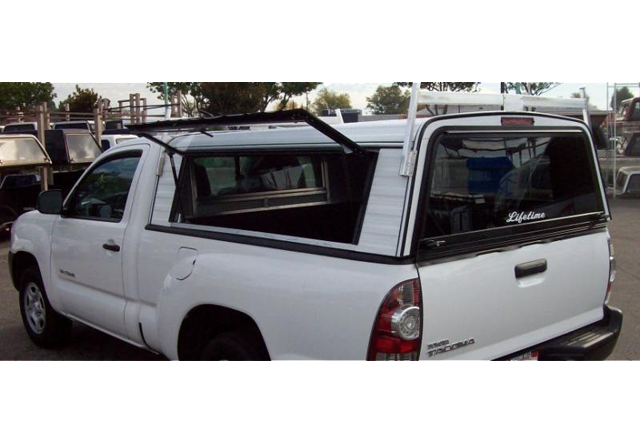 It turns your truck bed into a sliding drawer. BEDSLIDE is about efficiency—minimum time and energy for maximum results. Lifetimes are economical, yet attractive. They are manufactured with cedar embossed .010 steel skin, picture front window, and a Creation Lift Back Door with glass. 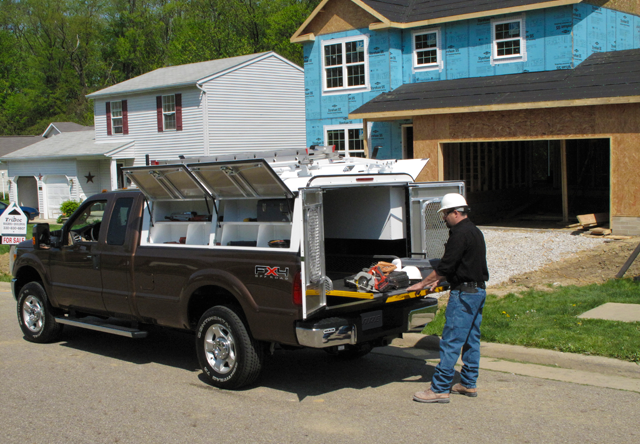 The SNUGPro XL Commercial Topper is designed to maximize the use of work trucks. 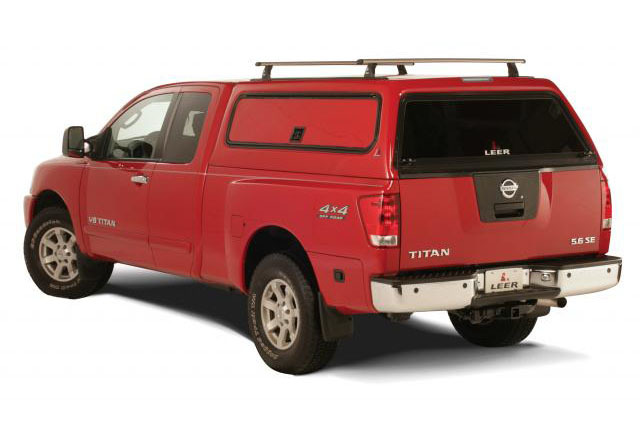 It features the strength of much heavier steel and aluminum toppers, but due to its weight saving fiberglass construction, the truck's maximum load carrying capabilities is left for hauling tools and equipment. 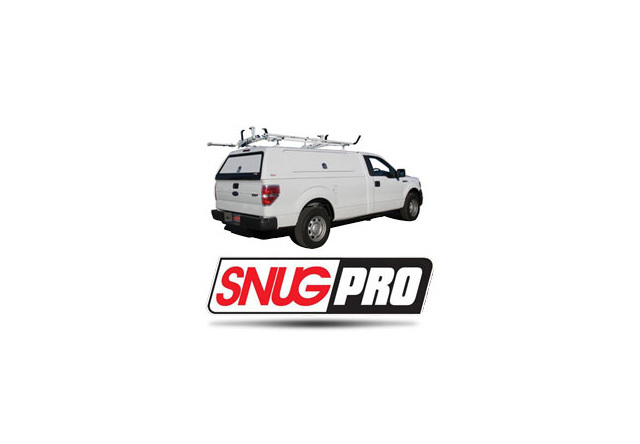 Plus, the dramatically reduced weight of the SNUGPro XL helps deliver improved fuel economy resulting in a smaller carbon footprint. 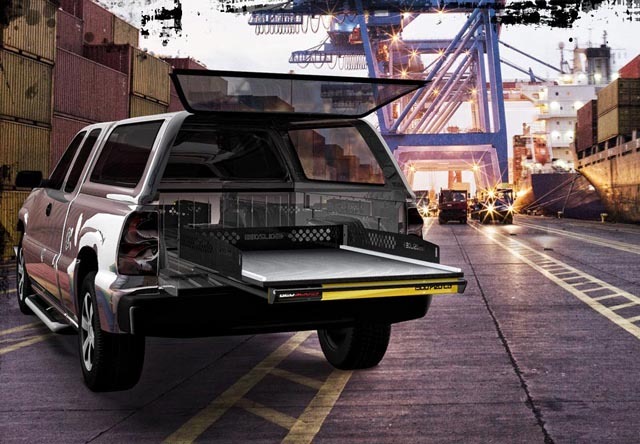 A segment-leading design in commercial truck caps starting with the unique recessed fiberglass side doors and hardware that is as sleek and sophisticated as it is durable and functional - not found on any other commercial cap on the market today! 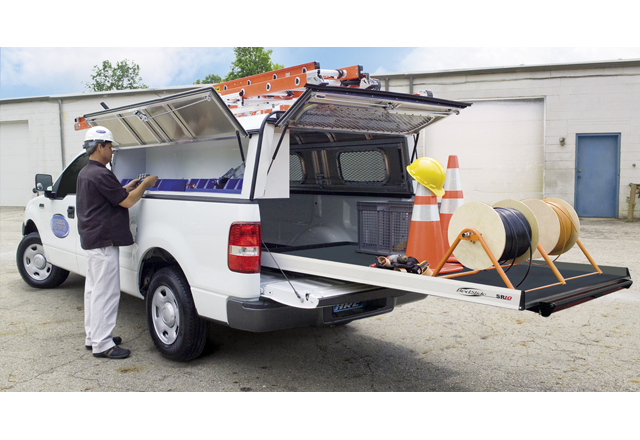 This new heavy-duty line of fiberglass caps offers optimum worksite efficiency. A cap that combines style, strength and versatility is now available to businesses around the country. 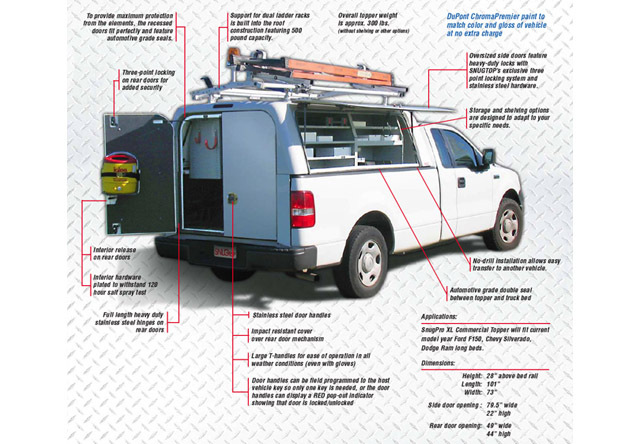 Businesses that want to portrait a successful image by blending the work truck look with a personalized look. After all, the company vehicle is like a moving billboard reflecting the image of the business to the customers.